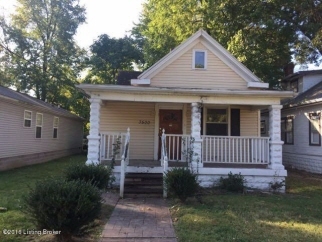 Description: 2 bedroom, 1 bath located in louisville, ky. Property will need flooring replaced, all mechanicals replaced and drywall repair. There is a covered front porch and deck in the back of home. Back yard is fenced in and there is a fireplace in living room. Property sold in its "as-is, where-is" condition. Seller does not prorate taxes. Buyer pays all closing costs. Seller has no knowledge of condition. It is the responsibility of the buyer to do all research. Data believed correct but not guaranteed. Buyer to verify data prior to offer. Agents read agent remarks.